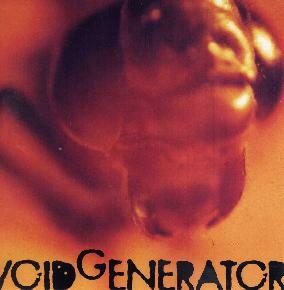 Void Generator - "Void Generator"
This is a fairly new band from Rome, Italy. They were formed in 2002. All the musicians have a background in jazz but came together to make some heavy psychedelic rock. "Sidereal Connection" opens the CD and is a very heavy Monster Magnet-Kyuss influenced piece of psych rock with a wall of sound type approach but also some cool windy and drony synths thrown in to complete the mix. Some really cool dual layered guitar soloing in the middle section of this 6 minute track. "Blues Ky" is a much more open rock track, reminds me a bit of Motorpsycho, with its more poppy happy bass line that leads the song. Nice lead guitar break in the middle of this song as well. They must be a great jamming live band! "Electric Treatment" has a sort of heavy metal style riff and some strange synth sounds buzz in and out of the sound before they head out into a very spacey part and back to the heavy riff at the end. The CD ends with the 14 minute long, "Suite #2". This is quite an experimental song with many different parts to it and very much like the building stuff by Motorpsycho. Fans of Motorpsycho for sure would like to hear this. All 4 songs are quite different on this CD but none as heavy and psychedelic as the opening track. Impressive stuff! The band has apparently bought the domain name for the band but the web link below did not work the last time I tried! There is an email for contact.